Written by Carl Turner on November 14, 2017. The end of your working life can be an immensely exciting time which heralds the start of an entirely new life. In fact this is becoming the case for more and more expats. The idea of moving to another country when you retire has moved from the fringe into the mainstream with increasing numbers of retirees choosing this path. Often the catalyst is not just an appetite for adventure and new cultural experiences but the need to make a nest egg go further. If this is a consideration for you then Asia is hard to beat as a destination. Your pension will go far in many parts of the continent offering a standard of living that you could only dream of back in most western countries. It also ticks all the boxes that many retirees are looking for (depending of course on exactly where you choose to go): great weather, affordable and high quality healthcare, modern infrastructure, history and culture. Living abroad is not all fun and games - Asia has its drawbacks just like anywhere else. While cultural differences are often a big draw, they can also cause frustrations when you are living in a country day in day out. Be prepared to accept sometimes incomprehensible bureaucracy, language difficulties and traffic congestion in big Asian cities (hello, Bangkok and Manilla!) as part of daily life. Petty crime such as pickpocketing is also a concern, although violent crimes are still rare in most parts of Asia and are statistically safer than most western cities. Some people may find it difficult living so close to such extreme poverty which is a fact of life when you live in Asia. 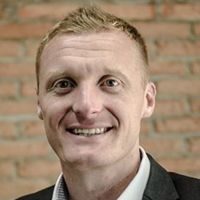 Visa laws: Malaysia is actively courting expats with its Malaysia My Second Home (MM2H) Programme which was launched in 2006. This is a ten-year visa, unique in Asia, allowing multiple entry and exit to the country. It is the best option for retirees and also good for families as children under 21 are permitted. Applicants must prove income of MYR10,000 per month (around US$2,300) as well as proving liquid assets of over RM350,000 (for over 50s). In addition, they must place a fixed deposit in a Malaysian bank account of RM300,000 in year one. In year two up to 50% of this can be used for a house purchase or health insurance. This visa does not give permanent residence, which is very difficult to attain, but it is as good as for most expats wishing to retire to Malaysia. For further information, you will find the mm2h website an invaluable resource. Highlights: Of the 24 countries surveyed in the index Malaysia comes out top for healthcare with 97 out of 100. Which makes it the perfect choice for those with concerns in this area. It also has scores in the nineties for ease of fitting in, probably due to the high number of locals who speak English and a large expat population, entertainment and amenities and healthy lifestyle. Malaysia is an extremely diverse country with Indian, Chinese and Portuguese influences all evident in the architecture, culture and food. Kuala Lumpur for example is an extremely modern and cosmopolitan city which will suit urbanites but second tier cities such as George Town in Penang or Melaka might be a better choice if you want a more relaxed lifestyle while still having access to great healthcare and other amenities. And as for food, Penang regularly tops the chart of the world’s best food destinations. In Malaysia you can eat an astonishing array of cuisines at bargain prices wherever you are. Downsides are hard to find – it scores low for climate and while it’s true that it can get hot, there’s always air conditioning! 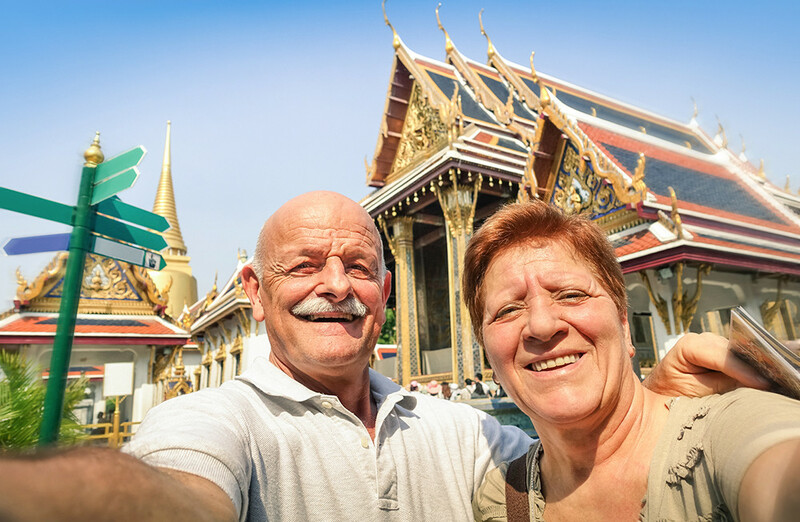 Visa laws: Foreigner nationals aged 50 or above can now apply for the new Thai retirement visa which was introduced last year and has made life much simpler for many retirees looking to make a life in the Land of Smiles. You must prove a monthly income of at least 100,000 Thai baht (approx US$3000) or a bank deposit of 3mn Thai baht (approx US$90,000). The visa is granted for 5 years at a cost of 10,000 Thai baht (approx US$300), after which it can be renewed again for another 5 years. You will find further information here. Highlights: Boredom is never a problem in Thailand. The array of entertainment options and amenities on offer means that its best score in the index is in this category. This country really does have something for everyone whether you’re a foodie or a thrill seeker, a culture vulture or a beach bum! It also has high ratings for healthcare, fitting in and cost of living. And the Land of Smiles reputation is well deserved too – the locals are incredibly friendly and welcoming. Many expats can afford help in the home and a quality of healthcare which simply wouldn’t be possible back in most western countries. In short, the expat lifestyle in stunning Thailand is low on stress and high on enjoyment. Visa laws: Cambodia’s visa programme is considered to be one of the most relaxed in the world with a lack of enforcement of regulations noted on many websites and forums. It is easy to get a long-term visa and renew it and for retirees the Category ER Visa is the one to go for. This was introduced earlier this year but information online is scant. Foreign retirees officially need to prove financial stability by presenting proof of income from a pension or investments in their home country. It is worth noting that foreign nationals are still prohibited from owning land in Cambodia. Highlights: According to the International Living Index, Cambodia offers the lowest cost of living of all the country’s surveyed with a 99 rating. But being a crazily inexpensive place to live, where rent for a furnished and air-conditioned flat outside of the capital can cost as little as US$200 per month, is certainly not all that this beautiful country has going for it. It is known as the Kingdom of Wonder, after all. Those wonders including an intriguing, if sometimes harrowing, history, beautiful beaches, incredible scenery, cultural gems such as Angkor Wat, friendly locals and year round warmth (if sometimes a little too warm for some). Most expats agree that the living is decidedly easy in Cambodia whether you opt for the cosmopolitan cities of Phnom Penh and Siem Riep or somewhere a little quieter. Negatives include the poverty and deprivation suffered by many locals, the country’s weak transport infrastructure, extremely poor road safety and a healthcare system which is less developed than some other Asian countries. Visa laws: The Special Resident Retiree’s Visa (SRRV) is tailor-made for expats wishing to retire in the Philippines. It offers permanent, non-immigrant status with no restrictions on entry and exit to the country and the Smile version is available to anyone over the age of 35. There are various categories, each with differing requirements and detailed information can be found on the government’s official website. Highlights: Are you looking for somewhere that you can fit in easily? The Philippines could be the place with a score 95/100 in that category. With over 7,000 tropical islands, the country is not short of beautiful beaches if that’s your bag but you could also opt to live in the cooler climate of the mountains at Baguio or Tagaytay, or in a more urban location like Cebu City. There really is something for everyone and wherever you go you will find the people warm and welcoming. With English the official language in the archipelago, communication should not be a problem either. The cost of living is on a par with Thailand and healthcare facilities in the bigger cities rival those anywhere in the world although these may be lacking in more rural areas. The country does suffer from some infrastructural problems so you could be subjected to power cuts, water shortages, poor roads and communication issues in some parts of the country. Safety is also a concern in some areas with robbery, drug and terrorist-linked violence an issue. Visa laws: Vietnam does not currently have a retirement visa scheme. Many expat retirees opt for a three month single or multiple entry visa and renew it over and over. You can apply for an extension in Vietnam itself but it can be unsettling to not be granted permission to live in the country for a longer period of time. This is probably the biggest barrier to expats considering retiring in Vietnam. Highlights: Vietnam’s position at the bottom of the 24 countries listed in the Annual Global Retirement Index is surprising to me. While it has a 91 rating for cost of living, its other scores are relatively low in the sixties and seventies. Those already enjoying retirement there are certainly not disappointed with the quality of life in a country which has the fastest growing economy in South East Asia. Indeed retireinasia.com describes it as ‘one of Asia’s shining stars in terms of liveability and openness.’ History and modernity are often connected here so you can enjoy the traditions and culture which are unique to Vietnam without the hardships sometimes experienced in less developed parts of Asia. You don’t need to put up with below par healthcare and poor infrastructure either. You will find friendly locals wherever you go, the scenery is spectacular and varied and excellent transport links make Vietnam a great base for exploring the rest of this endlessly fascinating continent. If you are looking to retire abroad and one of the above destinations is tempting, make sure that you do your research before taking the plunge. There are dozens of considerations to take into account when making a decision, not least your financial planning. If you decide to take the plunge it is useful to seek professional advice on the best way to manage your investments and income while living abroad and other money-saving financial tips such as the most cost-effective solutions to managing your currency transfers and banking requirements. Make sure you have adequate medical insurance for the country you are moving to and take the annual cost into consideration when calculating your annual disposable income. Posted on November 14, 2017 in Retirement Planning.